Winter Springs Therapist: Shannnon Rowell - Therapist 32708. Send A Message To Shannnon. 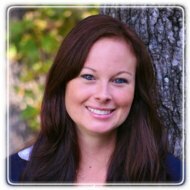 Shannon specializes in children and adolescent issues, couples therapy, and trauma recovery. She has expereince in helping those suffering from life struggles such as depression, anxiety, cutting issues, sexual abuse recovery, marriage issues, and daily life problems. After having struggled with many trials throughout her adolescent years, she decided to become a Counselor specializing in working with adolescents and trauma victims. Her personal and professional experiences have allowed her to relate to clients struggles. Shannon believes the counseling experience should be positive and provide a safe environment.